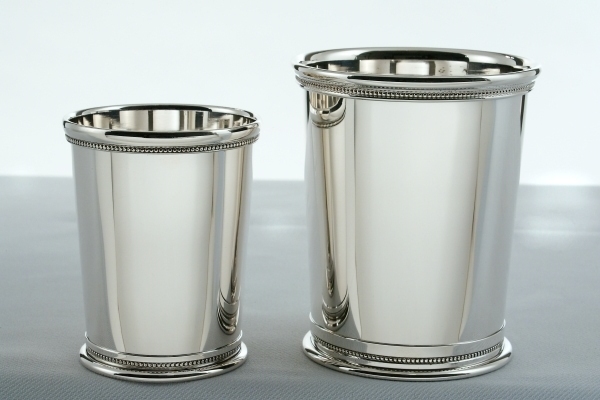 This classic and traditional sterling julep cup has been hand-crafted by Boardman artisans for many years. The design of the sterling beaded cup was reproduced from an original cup dating back to c.1777–1852. The Julep Cup has a great Kentucky association – the popularity of the julep cup in Kentucky dates back to the Civil War, a time of romantic gentility, relaxed wealth and graciousness; an era when a man's breeding was reflected in his manners and hospitality. Boardman Silversmiths continues to honour that old tradition today by hand-crafting the sterling julep cup in honour of our Presidents, past and future. 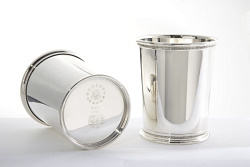 Boardman Silversmiths touch marks are on the bottom of the cup, along with the Great Seal of the United States of America and acting President's initials, thus creating a unique and historic collectible sterling cup. This silver cup measures 4" Hgt., by 3" Top Dia., 10 oz. capacity. This cup can be inscribed with initials, special event date, a message to the recipient for years to cherish. 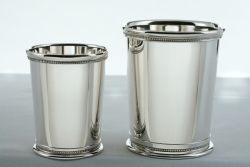 Boardman Silversmiths produces a limited number of these silver cups during each President's term; therefore, these cups have become a cherished collectible keepsake to pass down from generation to generation. Boardman Silversmiths has created a new Sterling Youth Presidential Cup. This cup measures 3" Hgt., 2 ½" Top Dia., 6 oz. capacity. On the underside of the cup are the touch marks of The Great Seal of the United States of America and acting President's initials. 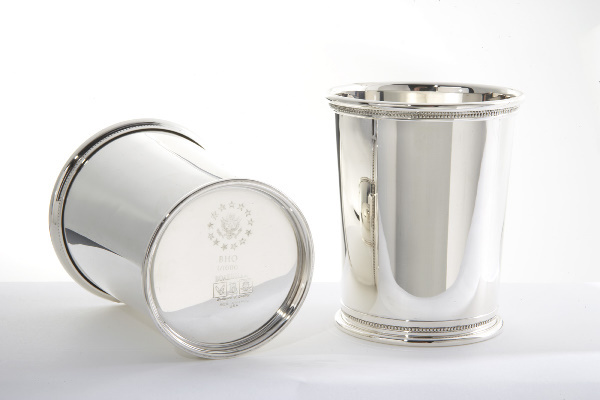 What a way to honour one's birth with a hand-crafted Sterling Youth Presidential Cup to inscribe with his or her name, initials, date of birth and a special message to be cherished for years to come. Touch mark on bottom of cups with The Great Seal of United States of America and Acting President's Initials.